In 2014 Ben Katzaman was on a journey riding his motorbike through the Bali jungle. On his adventure he came across a village of talented carvers struggling to make a living. After spending some time with the carvers and seeing their way of life, he asked them to carve an ‘infinity sign’ that he could take back home as a gift for his friend. Without knowing it, the first Wanderer Bracelet was made and Ben realized he was not lost at all; this was all part of the journey. Ben was inspired by his experience in Bali and decided to start a business centered around these carvers’ talents and their story in West Palm Beach. Wanderer Bracelets’ name and mission are based off of the Tolkien quote, “Not all those who wander are lost.” The bracelets are a reminder to embrace what you value most in life – the people and places you encounter along the way. Each bracelet is unique in that everything is hand made and ethically sourced. The bracelet is a symbol of your story. No big machinery is used and there is no toxic runoff produced. Each work is customizable and is the result of the love and hard work of many. 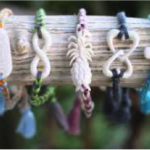 The local Wanderer Bracelets store was started in a small back yard in West Palm Beach’s Flamingo Park in 2014. The current store is located in Northwood Village, just a short walk or drive from downtown West Palm Beach. 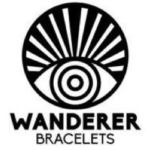 I had the chance to sit down with Ben in his store and talk with him about his experience in Bali and how Wanderer Bracelets was born and continues to grow. Would you like to be featured in the downtown “West Palm Beach“ Spotlight or know someone who would? Let us know! Send an email to Lanae@EchoFineProperties.com. Lanae Barnes is available to handle all your questions and real estate needs. Give her a call at (561) 236-9617 or email her at Lanae@EchoFineProperties.com. Posted in WPB condos, WPB condos for sale on July 6, 2017 at 1:44 am.